As part of your deliverables to a distributor, you may be required to turn over the Chain of Title for your film. So what is the Chain of Title? Simply, the chain of title consists of signed agreements giving you permission as owner of the film to use property owned by another person or entity in your film. These agreements are part of the chain of title of ownership back to the original copyright owner. For example, a screenwriter writes a script and owns the copyright to that script. The film company must then have an agreement with the screenwriter that proves that they have secured the rights from the screenwriter in order to make a film based on that screenplay. Without an adequate chain of title or E&O Insurance, you may be jeopardizing the sale of your film. More than likely, the distributor will require a proper chain of title and E&O Insurance and ask you to sign an agreement in which you represent and warrant that you do in fact have all the proper rights in place and hold them harmless to any claims of copyright infringement. Thus, it is important to take the time during pre-production and production to secure all the proper agreements. And it's wise to have an entertainment lawyer guide you through the process and create those agreements for you. Get that Chain of Title! Fantastic information! Very glad I came upon your blog! google led me to your blog, thank you very much for this post! Also found your blog on google. thank you so much for this information. it's invaluable. How do I get duplicates to the chain of title to my films. I lost all my original paperwork. It depends on what duplicates you are seeking... did you submit any to any source where you can get copies? Or you can ask everyone to resign the docs. Thanks for this information. I was looking to know what's a chain of title. Google is engine but you are the special one. 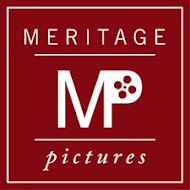 www.FilmEmporium.com. They were very helpful! There's a filmmaker, Jordan Clark, trying to set up a resource to address these very issues. He has an Indiegogo campaign going. Might be worth checking out. Thanks everyone for the nice comments. Let me know of other topics to write about! I'll be happy to share what I know.